With a combined 576 locations and reported plans for domestic and international expansion, the Chitai-Gorod Bukvoed bookselling merger predicts strong 2018 sales. The merger of Eksmo-AST’s Bukvoed and Chitai-Gorod—now Russia’s primary bookselling consortium—says it plans an expansion into both the domestic and foreign markets in the next several years, and it’s forecasting a 2018 boost in combined revenues of just over 25 percent. A spokesman for the company tells Publishing Perspectives that as part of these plans, particular attention is being placed on the chain’s aggressive expansion into Russia’s provinces. As Evgeny Kapyev, CEO of Eksmo, said in a pre-Frankfurt interview with Publishing Perspectives, the company has some 100 new stores planned for next year. Such figures tally well against new reports that as many as 150 or more new stores are to be operative by 2020. Since January, Chitai-Gorod Bukvoed has opened a reported 55 new stores. Investments in the implementation of these plans are reported to have reached 500 million rubles (US$7.47 million). Company officials say they see the growth of physical book retail in the sprawling country to be very promising. 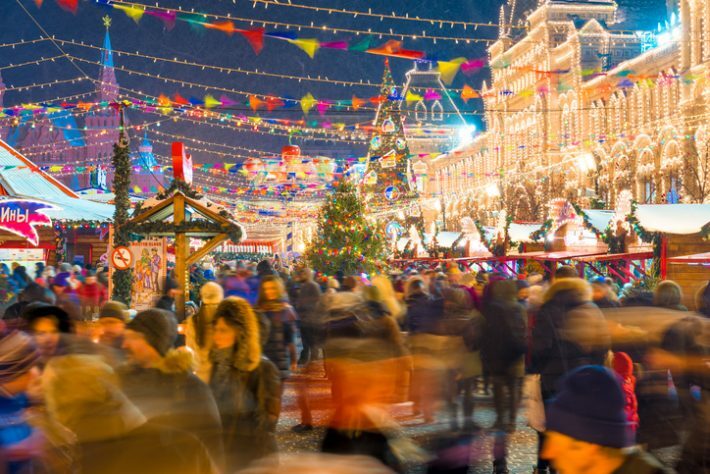 According to predictions made by analysts of the ministry of culture, by the end of this year, the overall value of the retail market could reach 79 billion rubles (US$1.2 billion), which is higher than in 2017 by 7 to 8 percent. Still, there’s a chance the growth rates of the market may significantly slow down this year, reports say, and overly optimistic outlooks aren’t unusual in the Russian industry. This is reflected in the fact that the average order made at Russian bookstores as of November remained roughly at the same level as that recorded in 2017. Since the beginning of 2018, that average order has grown by only 2.5 percent. According to experts, this is mainly because of the low purchasing power of the population, many consumers cowed by the cost of new books. 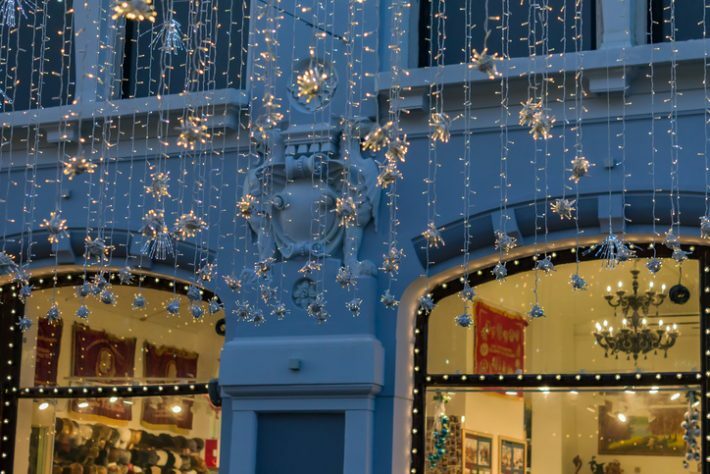 Growth, then, appears to rely on increasing the number of sales points with those new stores, rather than in bigger buys from existing consumers. The chain is seen as the country’s largest book network. According to a spokesman for Olga Vasilyeva, Russia’s minister of culture and science, independent bookstores are usually unable to compete with Chitai-Gorod Bukvoed and similar bookselling chains, and so one cost of the corporate expansion may well be independent shops in its path. Recent statements from the company indicate that adding new stores is indeed the major driver now. With most of its stores outside Moscow already, the company plans to accelerate that outward, regional expansion. Chitai-Gorad last year also announced plans for foreign rollouts, placing branded stores in neighboring Belarus in its initial stage and later moving into other foreign markets, including countries of the European Union. The merger of the two chains has its roots in a preliminary agreement that dates back to 2008. In August of this year, as reported by Albert Khabibrakhimov in vc.ru at the time, the network announced that Chitai-Gorod would manage the stores of both brands and revise the Bukvoed format. Today, the Bukvoed chain comprises 141 stores, while Chitai-Gorod has 435 retail locations. The merged company is expected to see its combined revenue increase as much as 26 percent this year, company officials have said, a jump of up to 24 billion rubles over 2017 (US$210 million). In 2017, the growth level was already impressive, cited at 19 percent, though without a disclosure of profit numbers. Chitai-Gorod Bukvoed is not the only Russian book chain with plans for provincial growth. 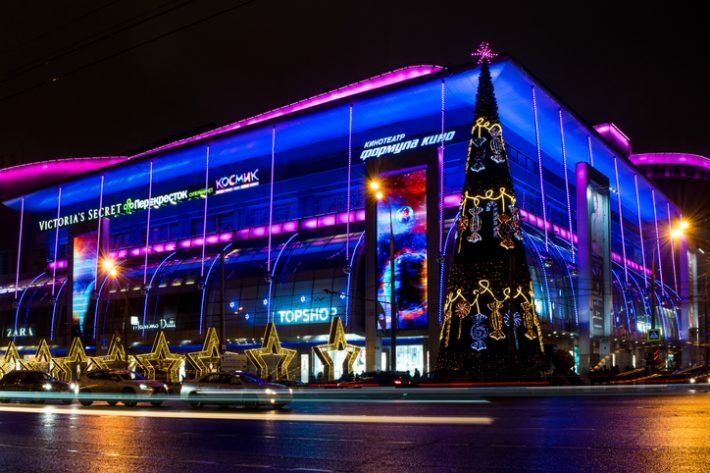 Similar directions have been announced by at least two of its local rivals, while analysts say that the regional nature of this expansion is a trend that should hold for years in the Russian retail market–getting past the major urban hubs and taking the inventory to the provinces. At the end of 2017, Eksmo-AST launched another book network, named Territory, which focuses solely on provincial development. And in September, expansion plans were announced by the general director of Respublika book chain, Ilya Krivorot, who said the company is considering expanding into St. Petersburg, Ekaterinburg, and other regions of Russia. Specialists at Knizhnay Industria tell Publishing Perspectives that book chains–frequently referred to in Russia as networks–today account for about 14 percent of the total volume of book sales in the market. More from Publishing Perspectives on the Russian market is here.